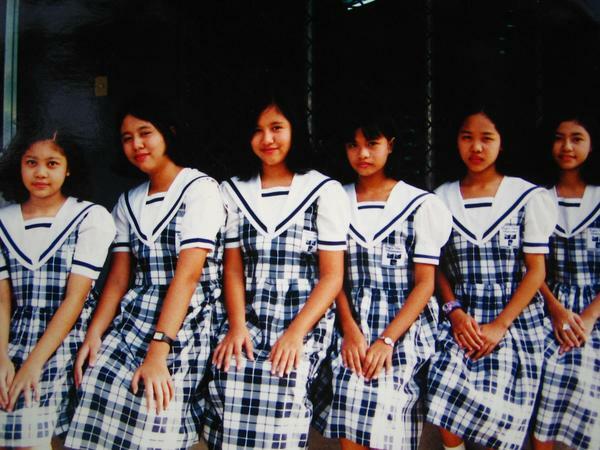 Regina Maria Montessori (RMM) was established in 1994, initially as a Montessori pre-school. 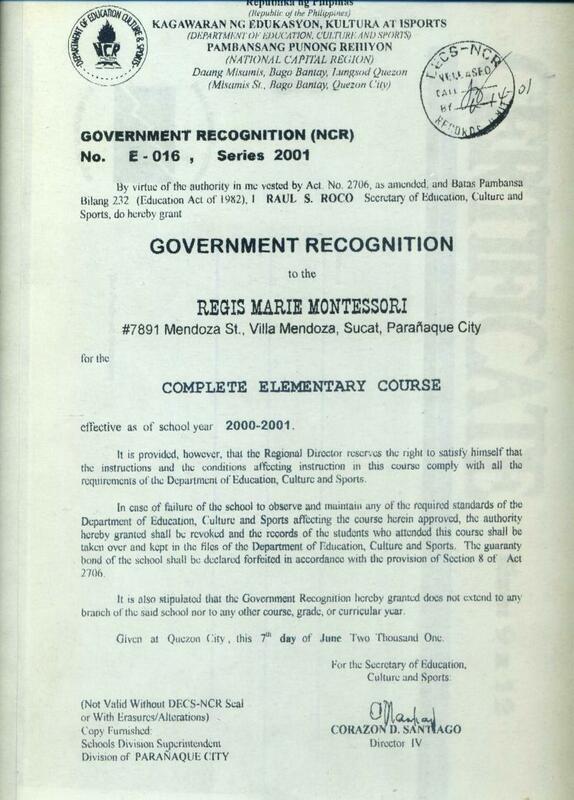 It's former name was Regis Marie Montessori. Every year, as the enrollment grew, we added the elementary department and eventually the high school department. RMM is registered with the Securities and Exchange Commission under SEC Registration No. 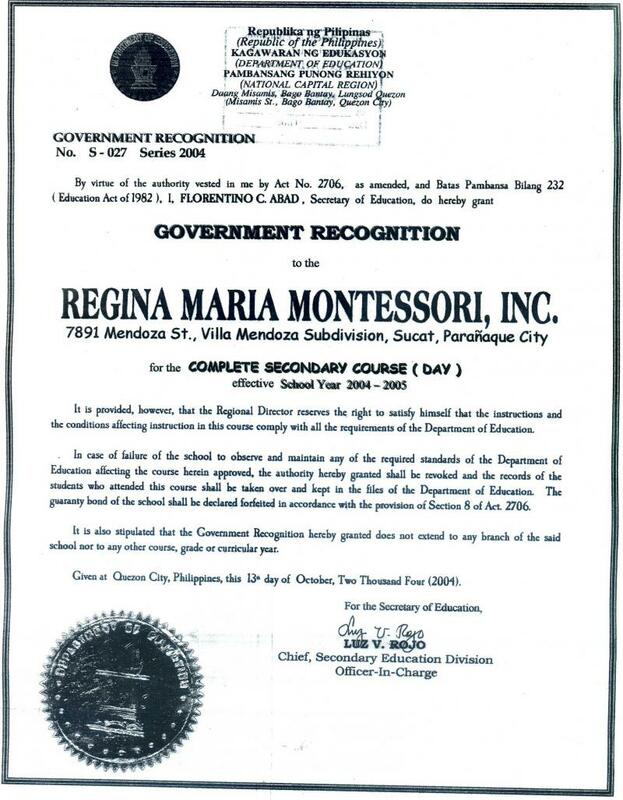 ANO94-00003948 dated October 13, 1994 under the name "Regis Marie Montessori". 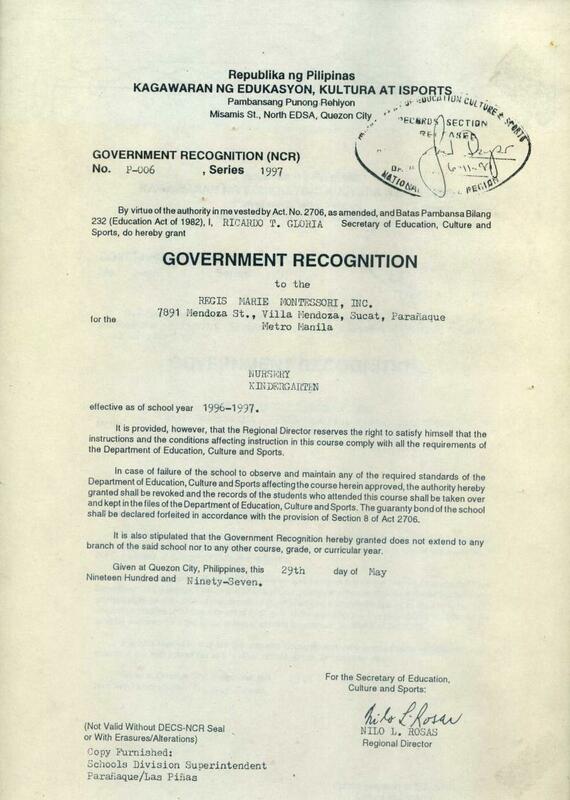 The change of name to Regina Maria Montessori was registered with the SEC on June 14, 2001. 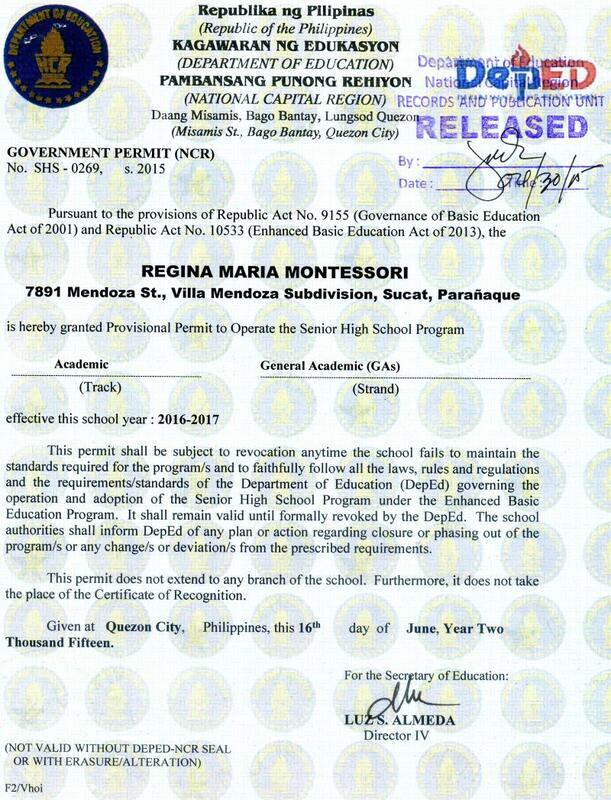 DepEd has granted Regina Maria Montessori the provisional Permit to Operate the Senior High School per DepEd Permit No. SHS 0269 series of 2015 granted on June 16, 2015.